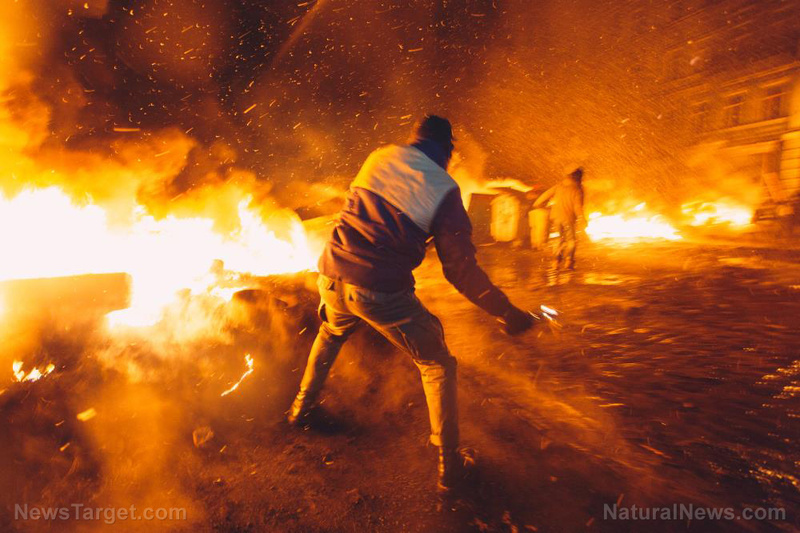 (Natural News) Tens of millions of Americans still don’t see it or realize it yet, but the Left has declared open warfare on the civil society, aided and abetted by useful idiots and willful participants in the “mainstream” media (MSM) and tech industry. At no time since the Civil War or the anti-establishment counter-cultural movement that began a century later — both of which were brought about by Democrats and their Left-wing descendants — have Americans been so divided and so full of irreconcilable hate. From the deplatforming of conservatives and supporters of POTUS Donald Trump by the social media giants to the endless production of fake news and the perpetuation of hoaxes meant to inflame political passions by the MSM, America is on the precipice of open hostilities by rival factions. The most recent incident involves the likely hate crime hoax by Jussie Smollett, a second-tier black homosexual actor who has selfishly weaponized his skin color and sexuality in an attempt to perpetuate the dangerous lie that our president is a racist, bigoted homophobe. As new details roll out by the day indicating that police now believe Smollett staged a ‘racial’ attack to perpetuate a false stereotype of the president’s supporters, his disgusting lie is being perpetuated by a dishonest Left-wing media hell-bent on destroying their own country, which they’ve been brainwashed into believing is imperialistic and illegitimate. — Shortly after the 2016 election, the far-Left hate mongers at Southern Poverty Law Center stoked fear and loathing after a pro-homosexual Episcopal Church was allegedly vandalized with a painted message, “Heil Trump.” It was a hoax; the church’s gay organ player did it and he was only charged with a misdemeanor. — A few days after a mass shooting in Pittsburgh, supporters of the president were accused of Nazi vandalism at a Jewish synagogue in Brooklyn as well as starting fires in a Jewish community. Hoax: The perpetrator was a gay black man who worked with city council members on an anti-hate crimes initiative. — In December 2017, Juan Thompson, then a reporter for the Leftist news site The Intercept, was sentenced to 60 months in prison for making hoax death threats to Jewish community centers around the country, for which POTUS Trump was blamed. — In September 2018 a black woman in Long Island, N.Y. claimed that Trump supporters confronted her and said “she didn’t belong here.” The next day a tire on her car was slashed with a note left behind that said, “Go home.” Hoax: The woman, Adwoa Lewis, made it up. Ngo listed scores of other examples (begin his tweet series by clicking here). But in every case, like with the Smollett hoax, the MSM, Democrats, and the Hollywood Left piled on the story, casting aspersions (and threats) against Trump supporters and conservatives in general, only to be proven wrong, and refusing to acknowledge it. Here’s the thing: One day, and soon, one of these hoaxes will spark a clash — perhaps even a race war — that won’t end until hundreds or even thousands of Americans have died and entire portions of several cities have been destroyed. And what’s more, the disgustingly dishonest media will be largely responsible for perpetuating the lies that will lead to the clashes, the death, and the destruction. POTUS Trump calls the MSM “enemies of the people” for a reason. It’s because they are. Read more about the fake news journalism of the MSM at NewsFakes.com.